PUMA is one of the world’s leading Sportlifestyle companies that designs and develops footwear, apparel and accessories. It is committed to working in ways that contribute to the world by supporting Creativity, SAFE Sustainability and Peace, and by staying true to the principles of being Fair, Honest, Positive and Creative in decisions made and actions taken. PUMA starts in Sport and ends in Fashion. 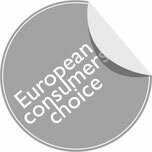 Its Sport Performance and Lifestyle labels include categories such as Football, Running, Motorsports, Golf and Sailing. Sport Fashion features collaborations with renowned designer labels such as Alexander McQueen, Mihara Yasuhiro and Sergio Rossi. The PUMA Group owns the brands PUMA, Cobra Golf and Tretorn. The company, which was founded in 1948, distributes ist products in more than 120 countries, employs more than 9,000 people worldwide and has headquarters in Herzogenaurach/Germany, Boston, London and Hong Kong. 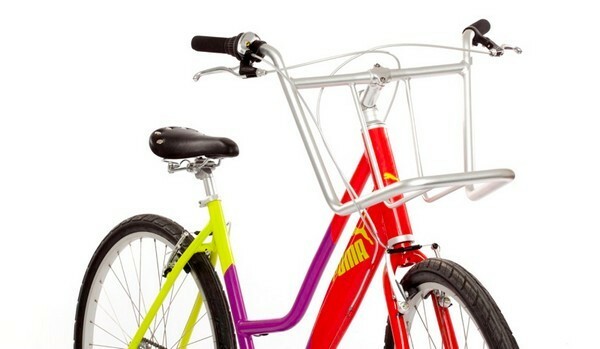 Biomega is a premium urban bicycle brand, alone in its category. Biomega designs and develops bicycles and related accessories. It is committed to creating a paradigm shift in the way society imagines transportation by making ‘furniture for urban locomotion’, developing bicycles so beautiful that they compete directly with cars and imbue our cities with new meaning. Biomega brings social innovation, design thinking and urban lifestyle to the world of bicycles, that start in urban functionality and ends in high design. 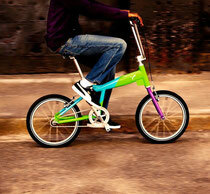 The brand features collaborations with PUMA and renowned designers such as Marc Newson and Ross Lovegrove. The company, which was founded in 1998, distributes its products in more than 20 countries, and has headquarters in Copenhagen, Denmark. 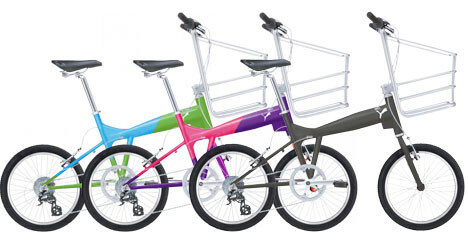 Created for ease of movement through the city landscape, the Puma Bikes are designed for urban transportation. Smart European design and commuter technology collide with urban American style – and culminate in a completely new Trans-Atlantic bike paradigm. 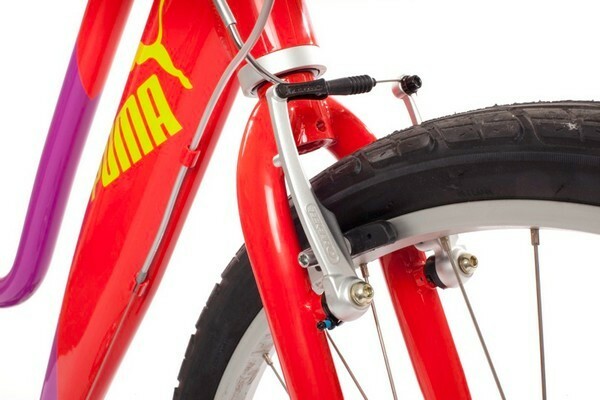 PUMA and the Biomega design team have collaborated to produce the next evolution in commuter bikes. Each design is pared down to its bare essentials using innovative and thoughtful details to meet the needs of the urban biker. Designed to find solutions to everyday annoyances that come with maneuvering bikes through the urban jungle, the collection redefines and reinvigorates the city ride. 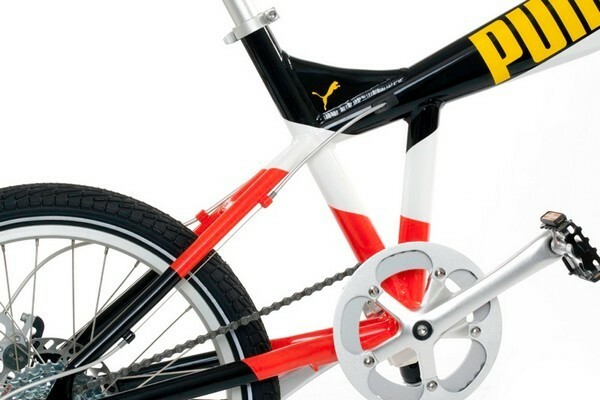 Each bike features colors inspired by island culture in the Atlantic – symbolizing this new Trans-Atlantic approach and balancing PUMA’s European heritage with American popular culture. 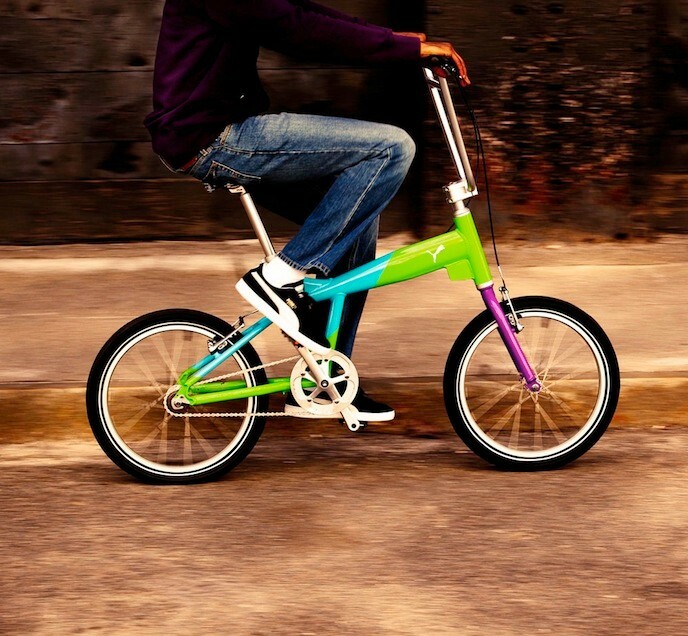 By pulling together the best parts of practical, continental city and folding bikes, BMXs, American cruisers, and fixies, these Puma Bikes create a whole new urban typology, one that stands out in the crowd and knows how to make its own way. 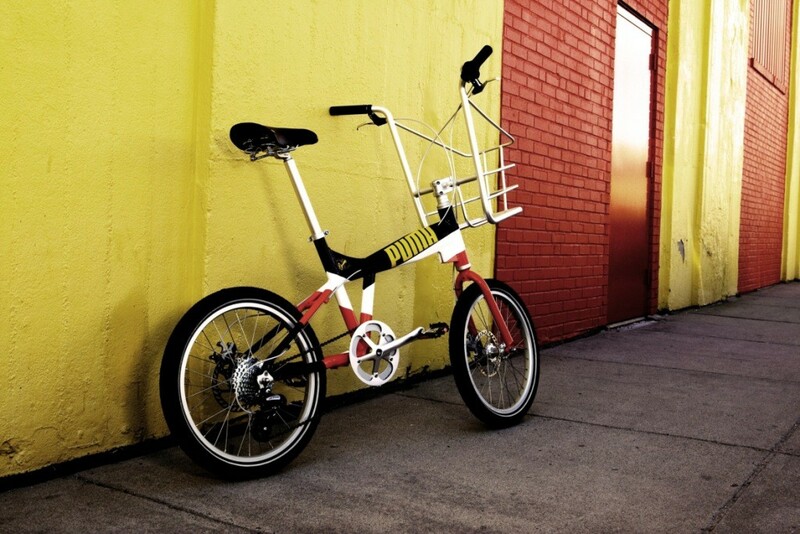 The PICO Bike mixes BMX features (handlebar, sloping top tube, 20” wheels), mini-bike features (low elongated top tube, upright seating position), carrier bike features (optional front carrier), and folding bike features (optional folding functionality) to create a new typology. 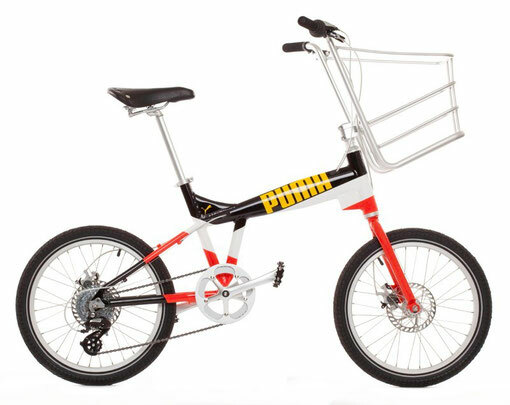 Small, sturdy, and convertible, the PICO Bike comes with or without an innovative front carrier integrated in the handlebar for a quick and dirty drop of grocery bags. 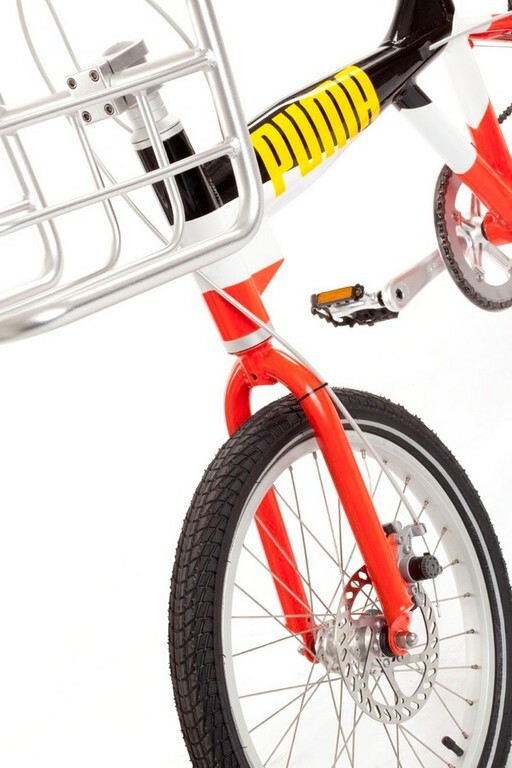 It references a BMX, but holds the body in an upright, heads up position for city commute – ideal navigational position. The bike comes with or without a folding system integrated in the top tube, reducing it by 50%, to fit in tight spaces like underground transit systems, trunk of your car or small city flat.